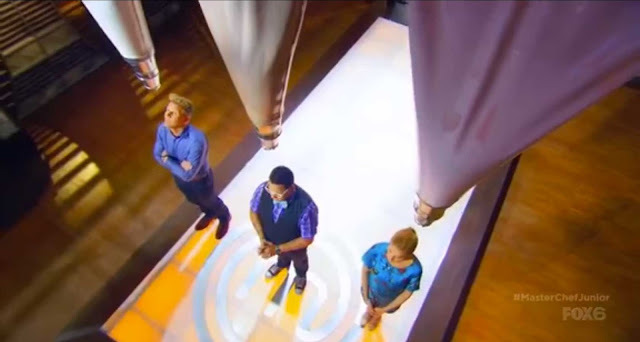 MasterChef exist since 2010, it's one of the biggest culinary tv competition in the world. The current judges are Gordon Ramsay, Christina Tosi & Graham Elliot. The Junior Edition started 2 years later in 2012. I've been watching the show from day 1, and also watched the Australian version ( I only watch one episode, it's not really convincing) and the French version, quite different and interesting but the show stopped. 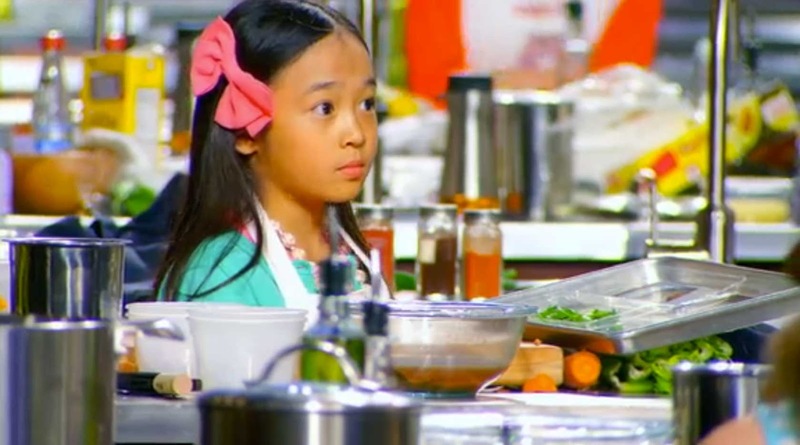 It is the first year I've decided to watch MasterChef Junior, I've seen one or two episode now and then but never took the time to follow a whole season. I thought it was for kids, not that serious, nothing that could catch my passion for fine and creative food dishes. I was wrong! 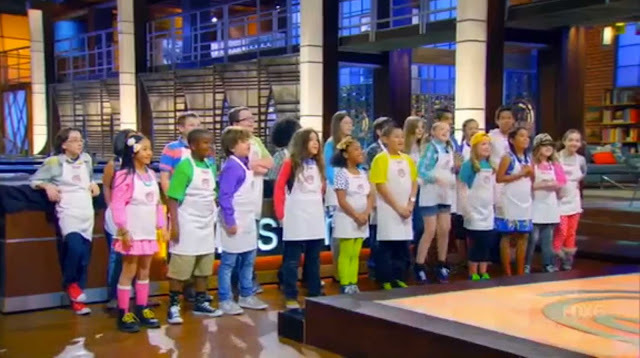 Reallym these kids from 8 to 13 years old are amazing. For sure it's not a live program where you can see every reaction from the participants, and with kids I'm sure it's not always easy to predict how things gonna turn out. But I was amazed that they really cook, they know their stuff, using every tools they need and knowing even more culinary vocabulary I may never know. Each of them can really express themselves really good. They are quite serious and funny at the same time, and they are always in the competition, cooking and attentive to what's going on. They actually cook and explain what they are doing a the same time when the judges come to see them. 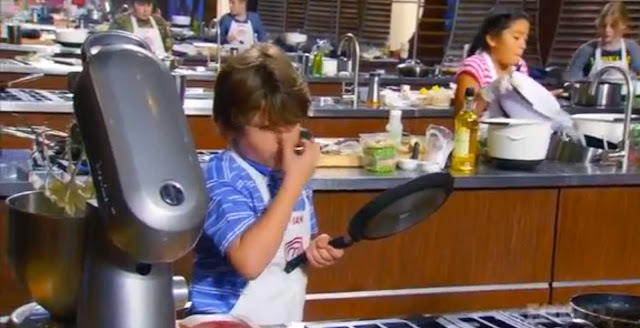 I'm not a kid any more but I would love pushing that button, releasing that frosting on Gordon. 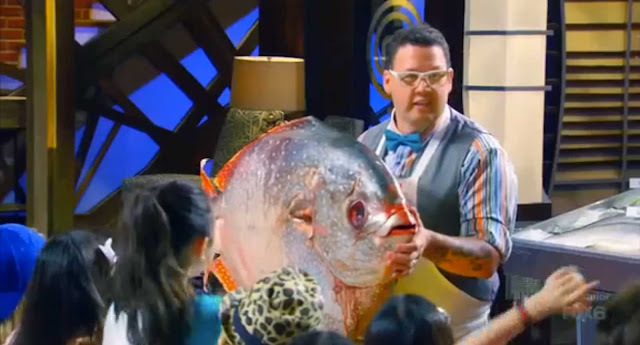 I also never seen a fish that huge, and how Graham prepares it, it's amazing. And the giant limonade grenade, I love it! Really cool ideas! It's a nice show to look, I enjoy it. I hope these kids will not work in life too early and that they'll still enjoy pizza and burgers their whole life. 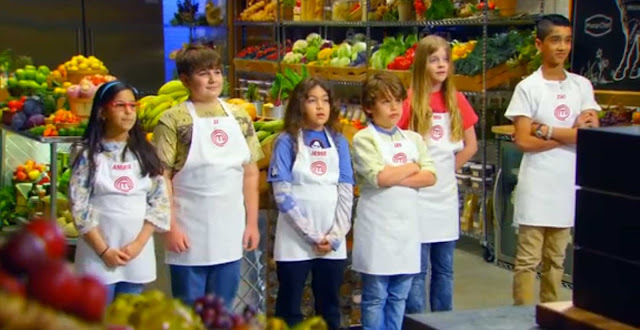 Watch MasterChef Junior Season 4 in streaming here! Does anyone knows if the show exist in an other country?